As you probably know, Las Vegas can be quite expensive. 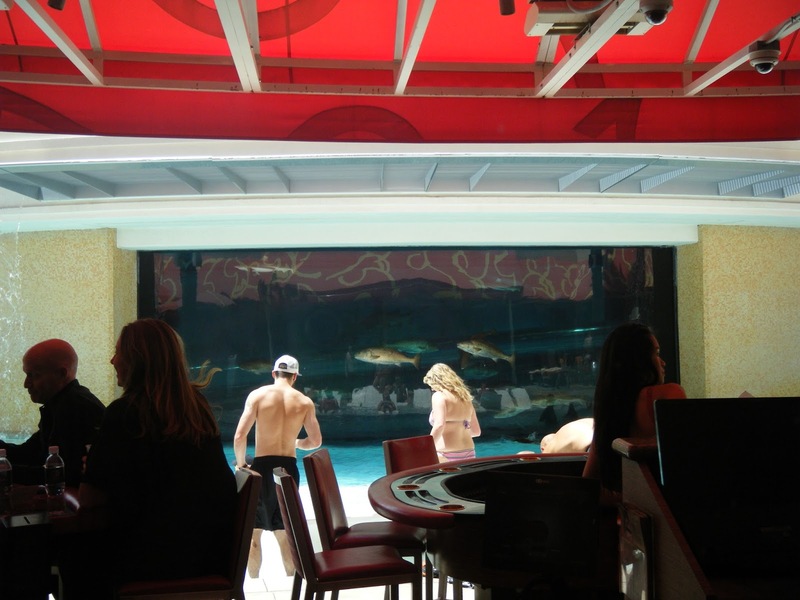 It used to be that you could barely sit at a machine before you were asked if you wanted a (free) drink or you could walk into any hotel and find a place to eat for super cheap. That's not really so anymore, but the food game is strong in Sin City, so I'm always willing to splurge on some good meals (not all, mind you) and find some ways to save elsewhere on my trip. 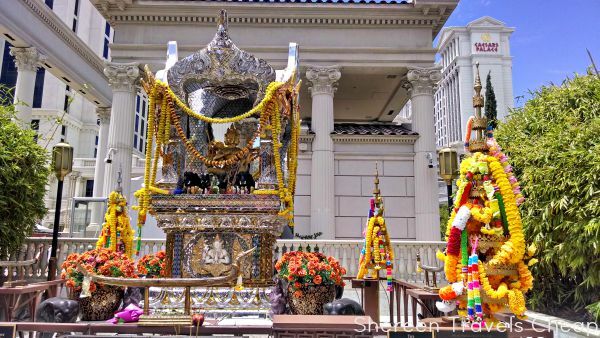 The list of free things in Vegas is pretty long, so I've narrowed it down to some of my favorites. View my previous post if you missed it. I remember when downtown LV was not much to write home (or blog posts) about, but since the revamp of hotels like the Golden Nugget, it's cool again. 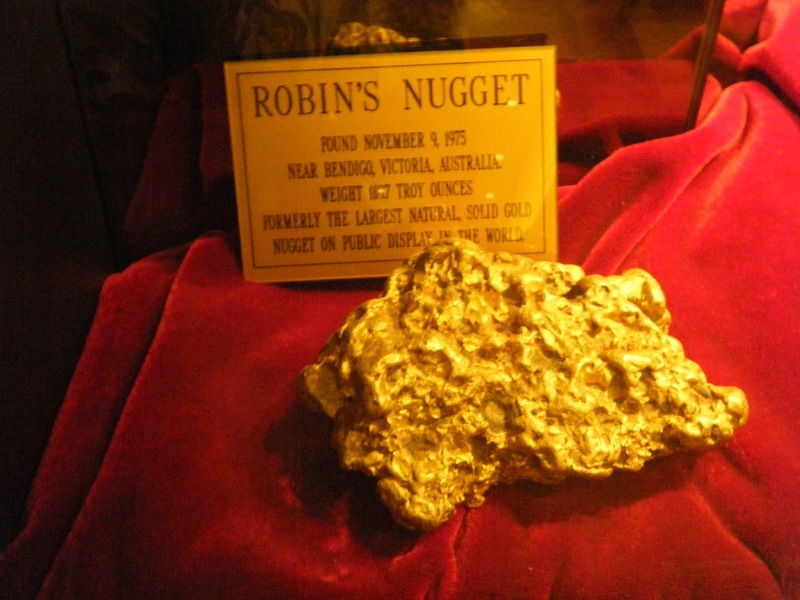 Stop in here to see the World's Largest (and Second Largest) Gold Nugget on display, which is quite phenomenal, but also take a walk through the hotel, get some fancy ice cream or admire the shark tank out by the pool. If you aren't staying at the hotel to use the pool, or want to pay $30 for a tour, you'll have to look at it from afar, but it's still pretty darn cool. You can see big sharks and little sharks among large fish and maybe you'll even see some brave soul slide through the tube on their way to the pool at the bottom. There's still a lot of sketchy people around downtown, but they are pretty harmless and won't bother you (in my experience). 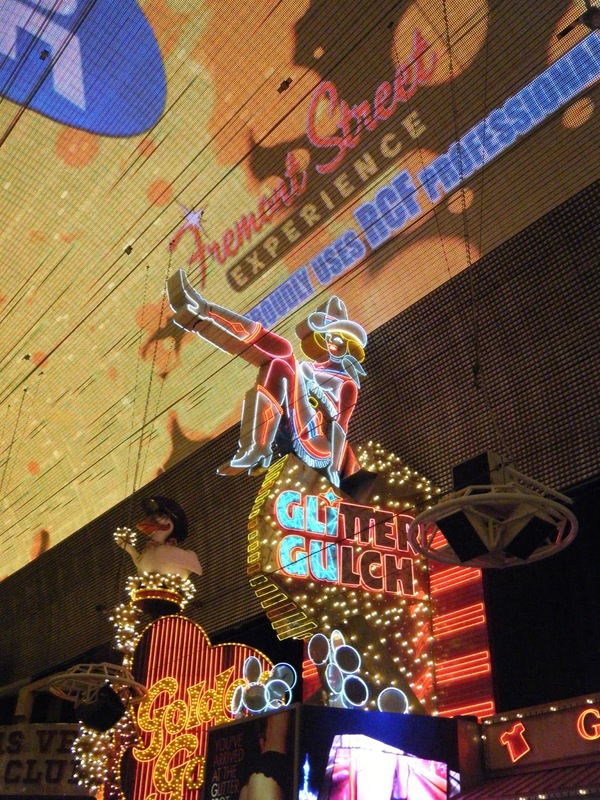 In fact, there's plenty of people watching and no place is better for it downtown than Fremont Street. Oddly, of the many times I've been to Vegas, this is the first time I've made it down there and I went twice, once during the day and once at night. There was the happiest drunk down there dancing to the free music and dressed as Santa Claus. He gave me all the joy. 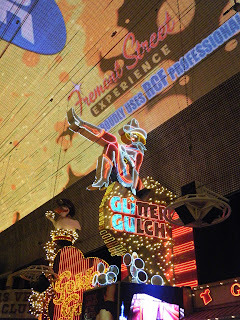 The Fremont Street everyone talks about is actually just three blocks of actual Fremont Street, covered in a canopy that lights up at night. 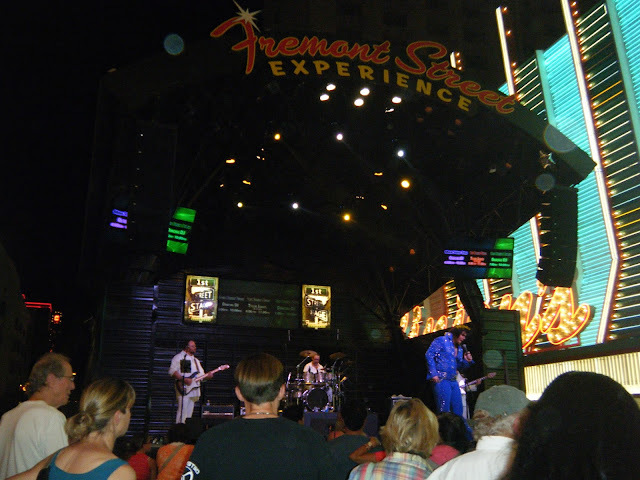 There are three stages where live music plays and then they stop throughout the night for you to turn your attention skyward to watch live "concerts" and other light shows on the canopy. We were treated to three songs (with concert footage and YouTube vids) by Bon Jovi. I loved it! Would you believe that sometimes those in-flight magazines help you with last-minute travel planning? Delta's mag, besides having a totally clean crossword (yay! 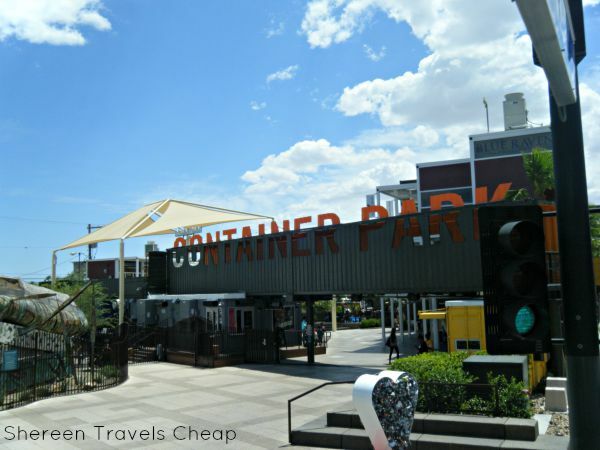 ), told me one of the new things in Vegas was the Downtown Container Park. I immediately folded down the page to look up when we touched down. Unfortunately, we only saw it in the daytime on the Big Bus and when we went back for late dinner, most of the container stores were closed, but it was still fun to hang out. Wednesday and Sunday nights they run movies in their "park" and it's 21 and over after 9pm (which, coincidentally, is when the movies start). You'll find all sorts of mini shops here, an eclectic range of restaurants and even a playground for the kids during the day. 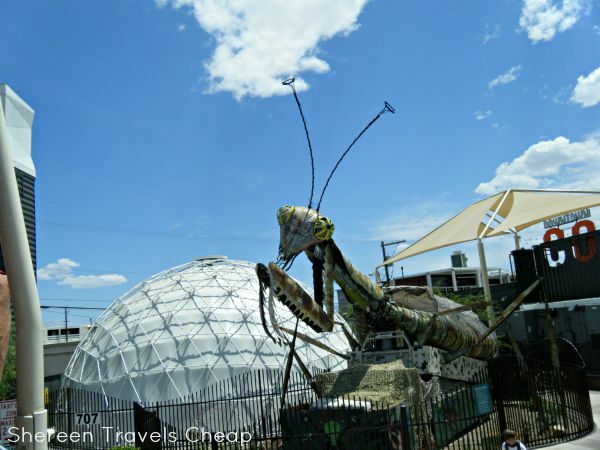 In the front, you'll find a giant metal praying mantis that lights up the night by breathing fire to different rockin' music selections. It's kind of worth it just to see that. 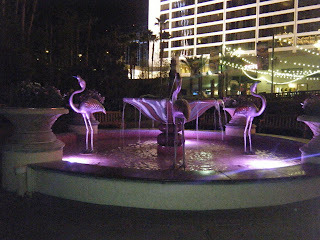 I think everyone thought I was a liar last year when I was like "Flamingos! For free! Let's go see them!" The Flamingo Habitat at the Flamingo Hotel and Casino is open 24 hours a day. 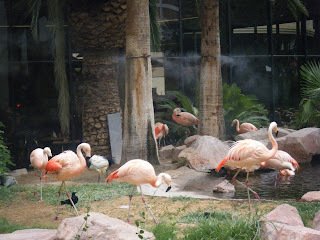 Despite the name, it also has other birds, turtles and fish in a cute little courtyard with ponds, fountains, waterfalls and tropical plants. I visited both at night and during the day and it was pretty cool both times. If you really want to view all the animals on display, swing by in the morning or at dusk (it'll be cooler than in the afternoon). The new Linq Hotel is pretty posh as is the Promenade that is full of shops and restaurants and the cute little Sprinkles Cupcakes store that I had to try. Amidst all the free graffiti art, window shopping and people watching you'll find the Polaroid Museum. 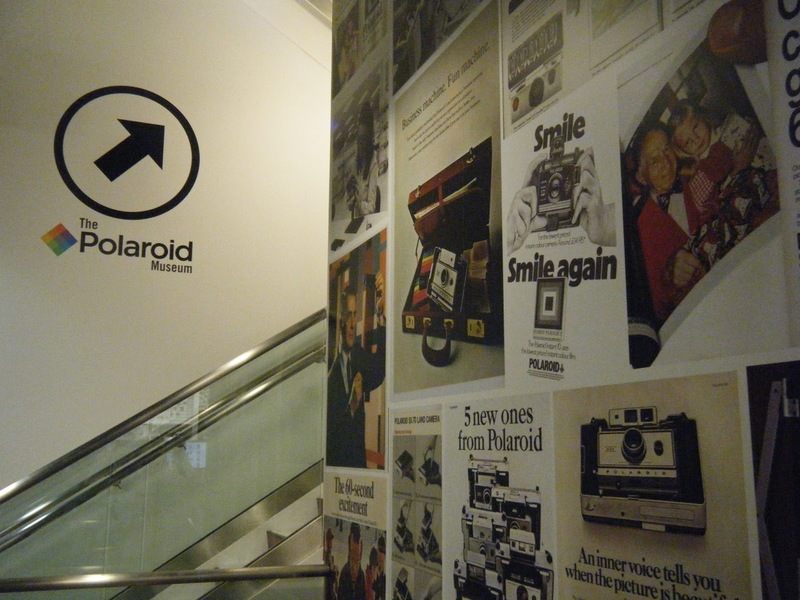 Upstairs from the Polaroid Shop (where you can instantly print your fab vacation photos!) is the Polaroid Museum where you can learn all about Edwin Land and the evolution of Polaroid photography. 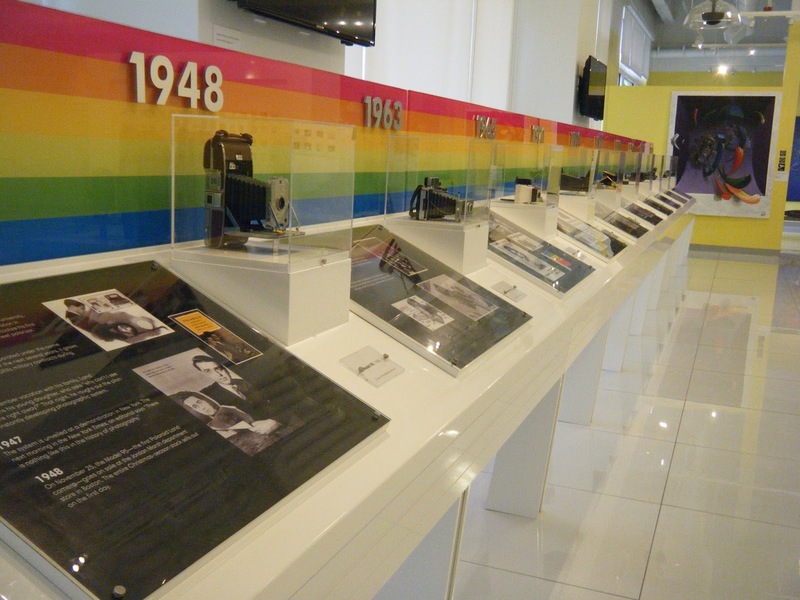 See the different cameras through the years, history-making photos and instant picture artists. It's only one room, but there's quite a bit to see in it, including Andy Warhol art...for free. Forgot your camera or want a unique memory of your visit to Las Vegas. 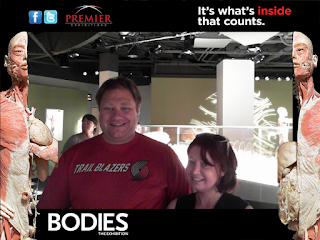 There are now uPostcard stands all over the place. 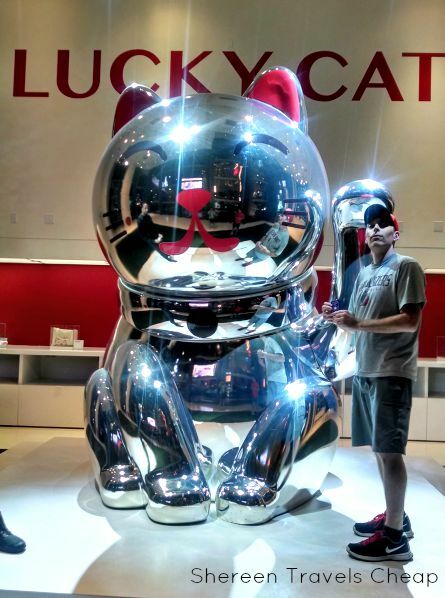 Take a pic with something fun in the background and instantly share it with your Facebook friends, Twitter feed or email it to yourself and everyone else you know. It's easy and you get a five-second delay to perfect your pose after you push the camera button. 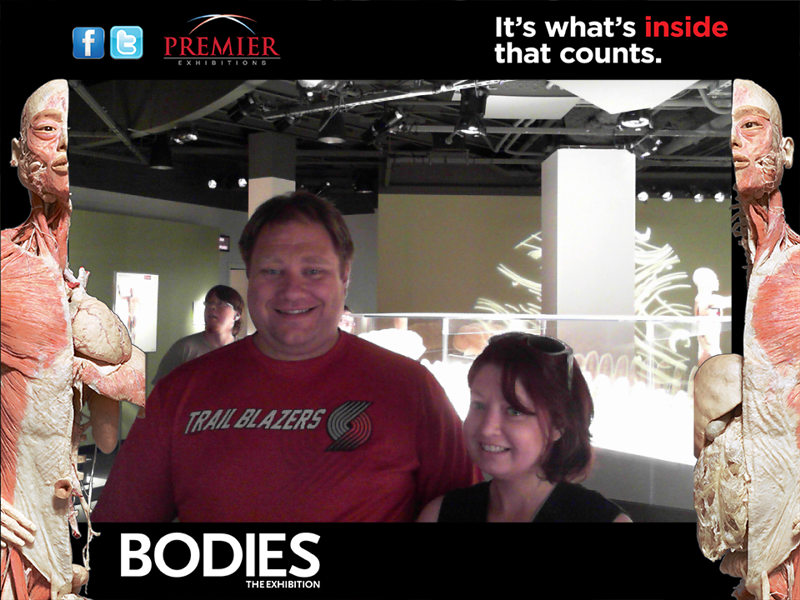 Above is the one we took at Bodies, because you aren't allowed to take pictures inside, so you get a souvenir of some sort to take away. Maybe you're walking past Caesar's like I was the first time I stopped here, or maybe you're waiting for a table for brunch at Serendipity 3 like the second time I stopped here, but the Prayer Shrine in front of Caesar's is number one adorable, but also relaxing and a nice place to stop and reflect and maybe send up a prayer or two to Krishna (or whoever you pray to) to win a few bucks more than you started with. There are prayer benches built into the shrine and they also provide you with incense and matches to let the smoke take it where it needs to go (is that how it works? No? Okay.). There's a discreet donation box where I suggest giving a buck or two for upkeep, because this thing is gorgeous and I think helped me win $80! P.S. 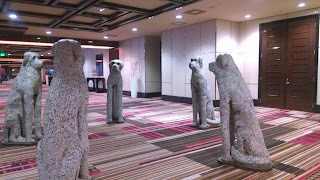 It did not make me smart enough to not put some of that $80 back into the slots. 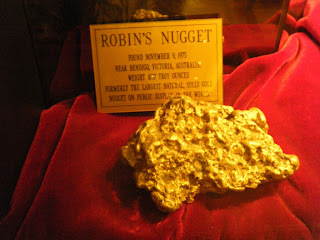 What are your favorite freebies in Vegas?